The Temple of the Sacred Tooth Relic also known as Sri Dalada Maligawa is known as the holiest Buddhist temple in Sri Lanka. Here are some facts that you should know about this holy sanctuary. Kandy, the last kingdom of Sri Lanka boasts a rich religious and cultural heritage. The ancient hill country is home to the most venerated and iconic Temple of The Sacred Tooth Relic widely known as Sri Dalada Maligawa. The rich cultural heritage of Kandy is woven around this historic site and its sacred relic. 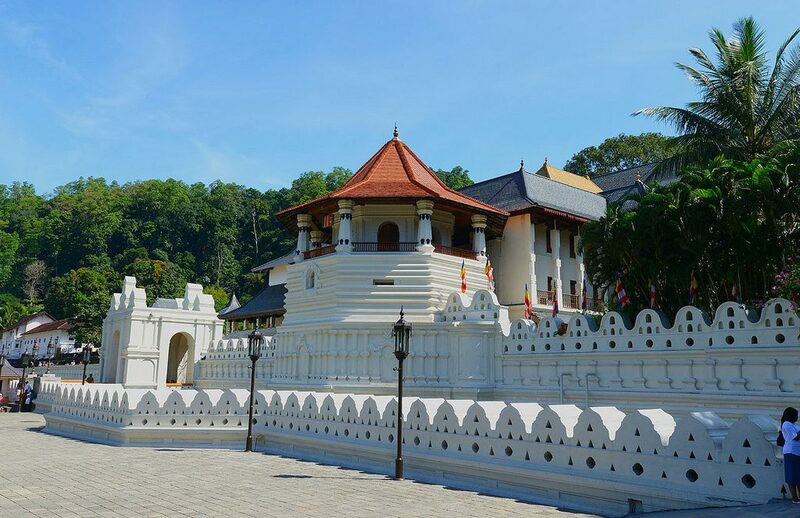 The Temple of the Sacred Tooth Relic was the creation of Kandyan King Vira Narendra Singha. The octagonal shaped architecturally brilliant Patthirippuwa and the moat were added later by King Sri Wickrama Rajasinghe. Kandy is filled with numerous things to do and places to visit and for those seeking top-notch accommodation, the locale will not disappoint. Amongst many a best hotel in Kandy the likes of Hotel Topaz will provide convenient access to the Temple of the Tooth Relic and city’s numerous attractions. Daily worship is conducted inside the inner chamber of the Sri Dalada Maligawa by the main two Bhikku chapters, Malwatta and Asgiriya. Religious rituals are carried out three times a day and every Wednesday the relic is bathed with a scented herbal preparation using fragrant flowers in a ceremony called the Nanumura Mangallaya. Next Post 3 secret Indonesian destinations that will amaze even the seasoned traveller – a nature lover’s paradise!